This issue continues to be in the news. Companies really need to take this issue seriously and consider adopting measures which will insure the safety of consumers. 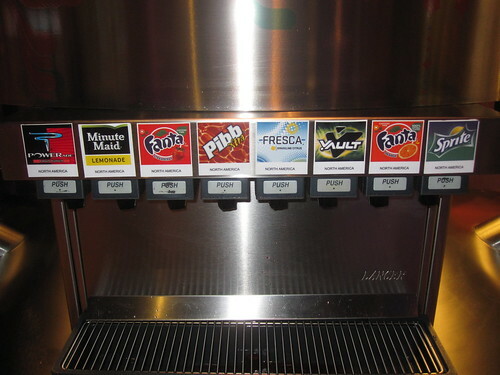 In January, 2010 a formal study of bacteria in soda fountains was conducted. Since that study, we have received inquiries regarding this information. It really comes down to finding a solution that works and repeating it over and over. I have talked to some of my friends in the restaurant business and most of them take this matter very seriously. It requires a lot of work taking the heads apart and soaking them and sanitizing them. I came across another solution to this issue that I thought was very fascinating and one that I could see being implemented in restaurants across the country. This solution sanitizes the soda fountain sprayer while it sits and overnight. The video shows the process quite thoroughly. Often times we talk about issues over and over, but never look at ways to combat the problem. As consumers, we should not be alarmed, but become more aware of the presence of bacteria and where it can be found. In addition, businesses should take preventive measures to guard against the buildup of bacteria in our drinking water sources and other places where people can come in contact with bacteria. Check out this video regarding the BevDok system.